As a user, it would be cool if I could navigate to settings, enable Beta features, and immediately see and interact with the individual beta features. The user taps the menu and selects Settings, enables Beta features and must now tap save. At this point, the user can return to settings and interact with the beta features. Name has control? promote to stable? Duplicate None T78187 Hide Beta features that are not supported by the current skin. Duplicate None T109363 Improve font changer implementation that is currently in beta. Updated the prototype with even better separation and a feedback link so we can collect feedback around Beta features. kaldari removed a subscriber: MobileFrontend. kaldari removed a subscriber: kaldari. For non-js users we can have a Save button on bottom. nzr: should be relatively easy since we only show the font changer if JS is enabled. The save button is needed only for the beta mode which works without JS (although not sure whether it has to). Now we only have one option however this could be done via making the opt into beta control a submit button without JS. Looks like we can move this into needs analysis? Or even triaged but future? I think this is the case so I'm going to be bold. • Jdlrobson added a subtask: T109149: Promote to stable device preference in Special:MobileOptions to expand all sections by default. • Jdlrobson moved this task from Backlog to Epics on the MobileFrontend board. • Jdlrobson renamed this task from Show what features are included in Beta to [Epic] Show what features are included in Beta. I'll work out how best to go about working on this epic and will write a separate card for the changes to the special page when we are ready to work on this. We may want to start by improving/promoting the beta features first. @Jdlrobson - we discussed with Nirzar and I think it makes more sense to take a bit more time with the individual features. Let's apply the visual changes first and then promote individual ones afterwards. Potential goal for next quarter...? It was our quarterly goal few quarters back which we moved out of our goals. Article notes, especially page issues are currently on the roadmap - we have them as prototyping/testing during Q2 and development during Q3. Depending on where we get with our current goals, we might shift things a bit forward, but I think this still sounds reasonable. In terms of this project, if we can split it up enough, we could potentially squeeze it into either Q2 or Q3. isn't it split up already? I think the subtasks are granular enough @Jdlrobson ? When beta mode is enabled, do new beta features always default to on? @Nirzar although this task seems to explain well what to do with the features that are being promoted, it's not clear how we show the other features that are in beta e.g. back to top, categories, lazy loaded references, wikidata descriptions. What is the plan with these? How do we plan to inform the user those are also in beta? t's not clear how we show the other features that are in beta e.g. back to top, categories, lazy loaded references, wikidata descriptions. What is the plan with these? there was a link to the prototype in the description. I added the mocks to description along with that invision link to make it easier. @Nirzar asked whether we have a baseline for the current number of beta users. I don't think the number is systematically tracked or exposed anywhere (does anyone else know? ), but it can be determined per wiki with a database query. Right now it seems we have 71k users opted in on enwiki. Let me know if there's interest in examining this more thoroughly, also across all wikis (we should make that into a task then). 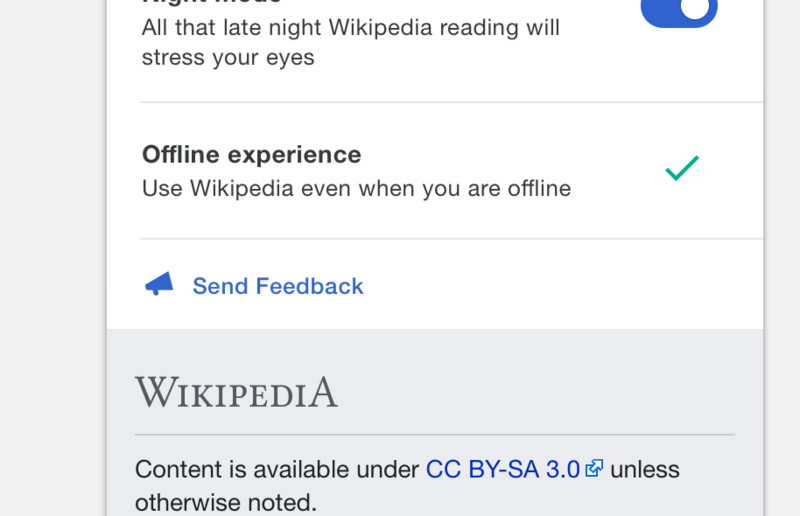 BTW there is a schema tracking user preference changes in general, but it seems to omit mobile preference changes like the opt-in to Mobile Beta. @Tbayer you raise some interesting details. I completely forgot about it but we have Schema:MobileOptionsTracking. Not sure if that's still working but that would be the place to look. This tracks activity. Right now beta is stored as a preference if user is logged in so that's why you are seeing stuff in schema tracking user preference changes. It will continue to be stored with the new version. ovasileva removed a subtask: T109364: Promote fontchanger to stable (in feature branch). I have broken out the tracking conversation into T182235. Projects should not normally be subscribers to a task as it can cause people to erroneously receive email notifications (like I have for the past few months), so I removed Readers-Web-Backlog as a subscriber here. This task is still tagged with the Readers-Web-Backlog project, so this change is not disruptive to people subscribed to the project. Sorry for the intrusion.